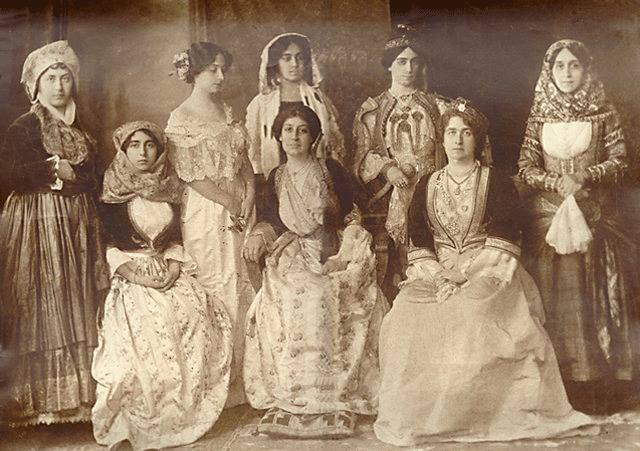 The Lykeion ton Hellenidon (Lyceum Club of Greek Women) was founded in 1911 by Callirrhoe Siganou-Parren, a pioneer of the feminist movement in Greece and the country’s first woman journalist. It is a volunteer organization, which, in the 103 years of its existence, has played an active and important role in the preservation and presentation of Greek cultural traditions and folk customs. Not less important has been the Club’s social contribution, especially in the domain of adult education for women and the defence of women’s rights. Today it maintains its dynamic presence in Greek society thanks to the voluntary service of its many dedicated members in Athens, in its 51 Branches all over Greece and in its 16 Bureaus abroad. The latter are particularly appreciated by the Greeks of the Diaspora, who see in the Lykeion a living link with the land of their origin and a “treasurer” of their ethnic traditions and cultural heritage. The Lyceum’s spacious and pleasant premises in the centre of Athens and in the suburbs welcome, each year, more than 2,500 children and young people between the ages of 6 and 18, who are given the opportunity to become acquainted with and participate in the national dance tradition as it is preserved in the Greek countryside. Although it is best known for its activities in the field of Greek folk dancing, the Lykeion also offers other courses combining learning and recreation, such as choral singing, eurhythmics and instruction in the playing of traditional Greek folk instruments. At the same time, free Greek language and culture courses are offered to women of Greek and foreign descent, an educational initiative that has been ongoing for the last 16 years. Ιn its endeavour to preserve and disseminate Greek traditional music, the Lyceum has produced several long-playing records, cassettes and compact disks, which, besides constituting valuable documentary material, have proved to be a very useful aid in the teaching of Greek folk dances. 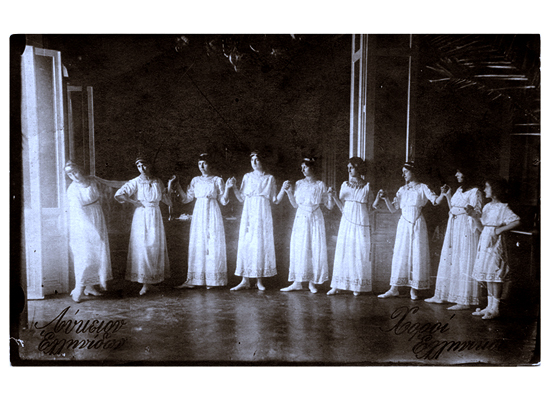 Ιn 1991, the Lyceum Club of Greek Women initiated a series of seminars for teachers of Greek folk dancing, as well as a programme of courses in the conservation of traditional costumes. Ιn the past decade, a serious effort has been made by the Lykeion to reorganize its Historical Archive and to systematically classify and file the precious documents and other valuable material of which the Archive is composed. The Wardrobe, too, has been systematically reorganized and its rich collection of authentic regional costumes, today comprising more than 25.000 complete ensembles, is housed in its Museum of the History of the Greek Costume inaugurated in 1988. A part of the collection comprising 4.100 documented and digitized costumes and objects is available at www.lykeioellinidon.gr under “digital collection”. In August 2004, these precious costumes “dressed” the Olympic Games. On that memorable occasion, the knowledgeable volunteers of the Lykeion helped attire the hundreds of young men and women who had volunteered their services and who were called upon to lend colour to the various events and to award the prizes to the winners. The material in the Lyceum Club’s possession – priceless costumes, folk music, dances, etc – is not intended merely for educational purposes, for use by scholars and specialists or for display in the Museum, but are brought to life in the performances of the Lykeion ton Hellenidon’s Folk Dance Group, which, since the early days of the Lykeion’s life, has presented programmes οn Greek traditional themes to audiences at home and abroad. Among the prestigious events in which the Folk Dance Group has taken part are the English Bach Festival (London, Royal Albert Hall, 1972 and Royal Festival Hall, 1979), the Festival of Gorizia (1972, First Prize), the festivals of Flanders (1977), Verona (1980) and Susa, Italy (1970, First Prize), Palma de Mallorca (1989, First International Prize) and Agrigento (1994), Biennale de la Danse (Lyon, 1998), the 6th Festival of Damascus (1999), “Mawazine-Rythmes du Monde” festival (Rabat,2006, )the China Shanghai International Arts Festival (Shanghai, 2007), Beijing Chaoyang International Cultural Tourism Festival (2008) and the Cavalcata Sarda Parade (2010). The Folk Dance Group also performed at the international events: ΕΧΡΟ ’92 (Seville), Greek Cultural Month (Russia 1997), EXPO ’98 (Lisbon), Mediterranean Games (Tunisia, 2001), IGA 2003 Exposition (Rostock, Germany) and, in the context of the Greek Cultural Olympiad, performed in Tokyo and in Osaka (2004). Successful performances were held also at the Odessa Opera (1994), Cairo Opera (1997) and the Opera of Hanoi on the occasion of the Greek Republic President’s formal visit in Vietnam (2008) and in the grand hall of UNESCO, in the framework of events organized for the Greek EU Presidency (2014). The folk dancers of the Lyceum Club of Greek Women were the first dance group to perform at the Athens Megaron, where the group appeared in 1992, 1994, 1996 and 1998, 2016 while in 1999, 2000, 2001, 2003, 2004 and 2013, in collaboration with the Greek Parliament, it gave performances at the Herodes Atticus Theatre before an enthusiastic audience of young people from all over Greece. Since 1964 it has οn several occasions performed at the Herodes Atticus Theatre as part of the Athens Festival. The themes that inspired the more recent performances at the Herodeion were the following: “Songs and Dances from Greek Folk Customs” (1989), “Songs and Dances from the Traditional Wedding Ritual” (1991), “Songs of Expatriation” (1996), “Songs and Dances in the Cycle of Life” (1997), “Thalassa – Songs of the Sea” (2000), “Variations οn Traditional Greek Dance Themes” (2003), “Colours of Greece” (2004), “In praise of talents, drums and dance” (2008) and “Partridges dance and nightingales sing” (2013). The Lyceum Club of Greek Women has been awarded twice by the Greek Academy and in 2012 it has been certified as a consultative organization of the UNESCO Intergovernmental Committee for the Safeguarding of the Intangible Cultural Heritage.